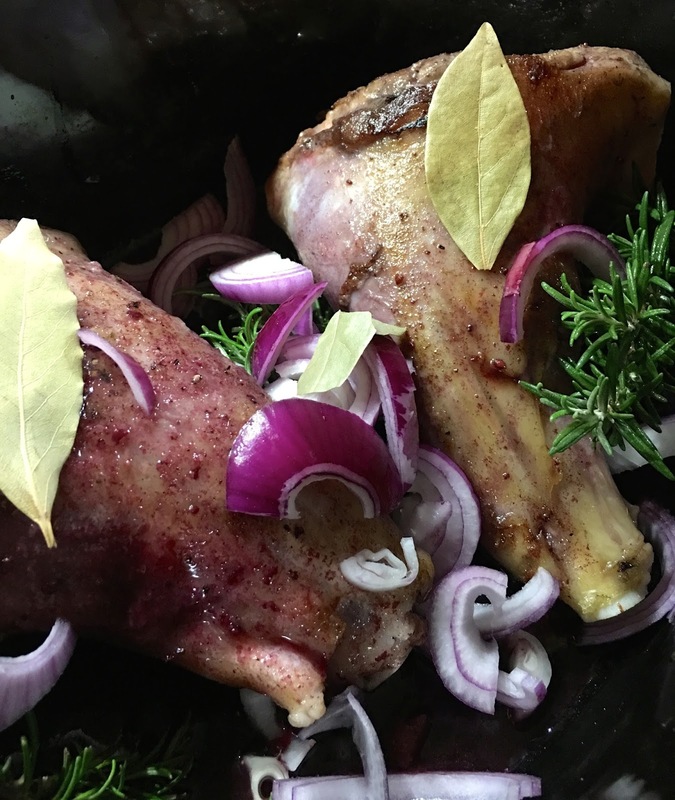 I love lamb shanks and when I was lucky enough to win a meat hamper in a cookery competition recently I was delighted to see a pair of the biggest shanks I have ever seen! 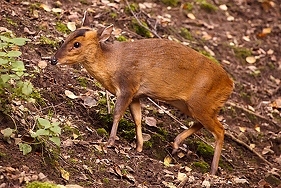 I decided to cook them in my wonderful slow cooker. My husband was working til 7pm. At this time of year I am exhausted by then and the last thing I feel like doing is cooking - I generally eat with the children and poor hubby ends up with cheese and biscuits! If I commit myself to a meal by starting it in the slow cooker it means I am much less likely to succumb to an expensive takeaway or make do with a bowl of cornflakes. This week DH learned he had passed his trial period at work and signed his contract so I thought the lamb would make a nice celebratory meal. I spent ten minutes preparing the meat and bunging the ingredients in the slow cooker then got on with my Christmas present wrapping while a gorgeous cooking smell filled the house. Here's the recipe I used - adapted from several I found on the internet! 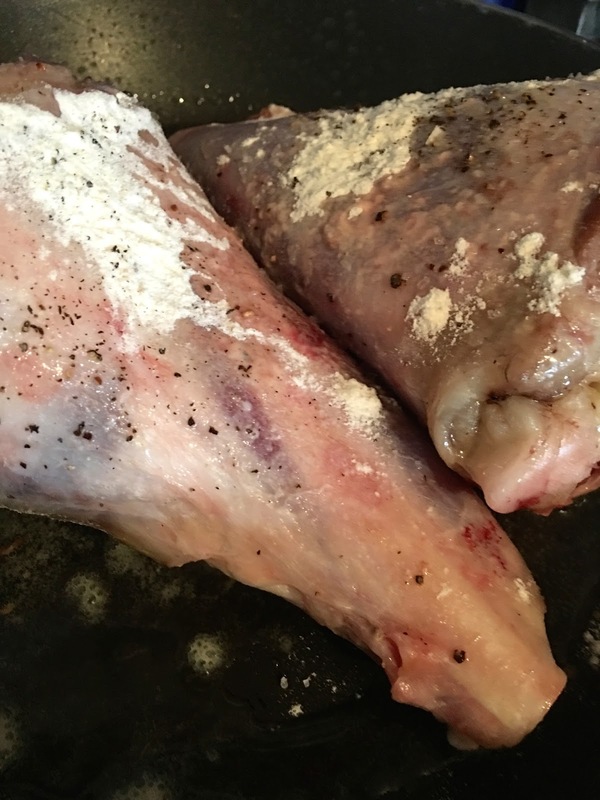 Coat shanks with flour, salt and pepper mix (you can put the flour in a bag, add shanks and shake) then fry shanks in the oil for 5 mins, turning frequently to brown and seal. Pop shanks into slow cooker then add wine to pan you cooked them in and deglaze*. *For those unsure of this term it means add liquid -wine in this case- to moderately hot pan you fried lamb in with meat juices and gently scrape and stir all residue from cooking into the liquid until it all dissolves and blends together. Usually takes about 2-3 minutes with liquid bubbling. Add wine mix to slow cooker, pouring over lamb, then add stock, onion, rosemary and bay leaves. 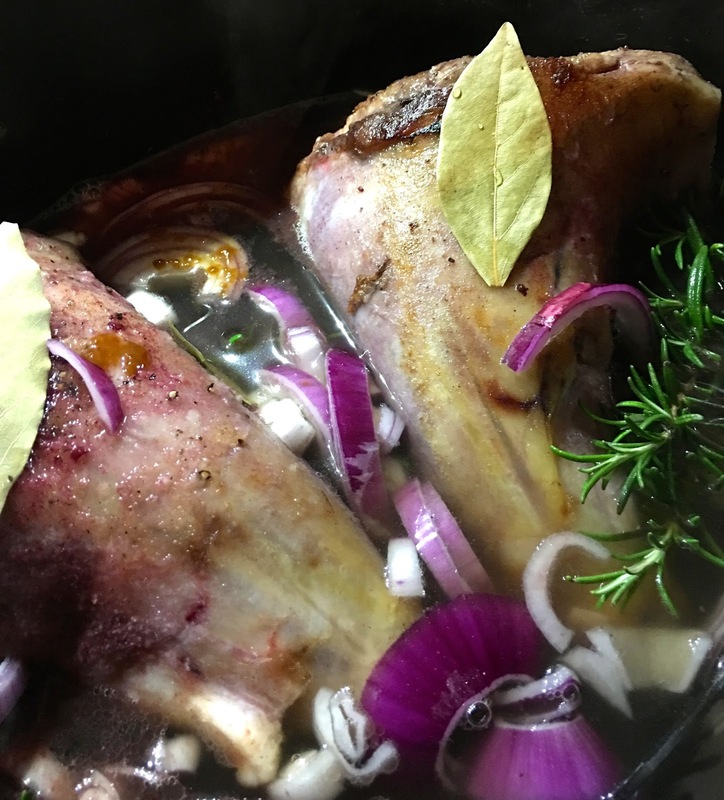 Some recipes say liquid should cover lamb - in my slow cooker the liquid came halfway up my giant lamb shanks so I turned them a couple of times during cooking. I stripped the meat from the bones and served with roasted skin-on potatoes, red onion, parsnips, sweet potato and carrot, mashed swede and carrot with plenty of black pepper and steamed sprouts and runner beans.